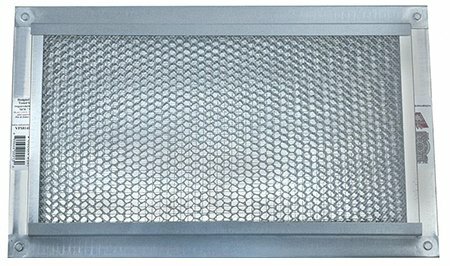 Vulcan Soffit Vents are available for stucco, wood construction, foam & stucco, or retro-fit applications in 4”,6” and 8” x 14”, others, as well as continuous soffits. 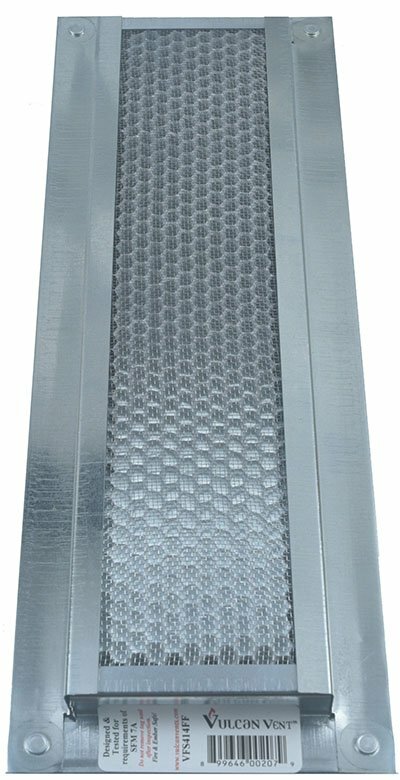 With intumescent coating that closes at high temps and ember catching mesh, this fire-resistant design will protect your property from embers and flame intrusion into the attic. Continuous vents are found here. Shown:VSF814FF Example soffit and foundation vent.